In 2017, one of America’s most peculiar traditions celebrates its 131st anniversary. 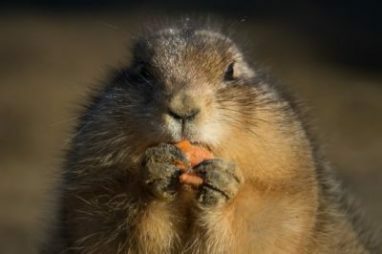 Groundhog Day is right around the corner on Feb. 2, meaning we’ll soon find out if spring is on the way or if winter will stick around for 6 more weeks. According to tradition, if Punxsutawney Phil sees his shadow tomorrow he’ll go back into hibernation and we’ll have 6 more weeks of cold weather, snow and other unpleasant winter conditions. If there’s no shadow, spring is right around the corner. Punxsutawney Phil is right roughly 40 percent of the time, but it depends on who you ask. According to his handlers, he’s never wrong. The “incorrect” predictions are merely caused by the Punxsutawney Groundhog Club President misinterpreting his signals. Phil only became a national celebrity after the 1993 release of the movie Groundhog Day. The Groundhog Day event is now so popular that hotels book up months in advance and thousands of people gather on Gobbler’s Knob to see Phil’s prediction. However, you can also live stream the day’s celebration by going to groundhog.org. Phil might get all the limelight, but you may not have known that he actually has a “wife” Phyllis and a “daughter” Phelicia too. All three members of the groundhog family travel together to their temporary home on Gobbler’s Knob for the Feb. 2 prediction. A groundhog’s burrow looks small from the outside, but the tunnels inside can actually be anywhere from 8 to over 60 feet long. Burrows have multiple exits and chambers, and some even have more than one level. Groundhogs often give a high-pitched whistle when they’re afraid, which earned them the nickname whistle-pigs. You may also hear groundhogs referred to as woodchucks or even land-beavers. Groundhogs are true hibernators, meaning that they can drop their heart rate down to as little as five beats a minute while their body temperature drops as low as 68 degrees. Other animals we think of a hibernators, such as bears, really only take long winter naps. Should you get a kick start on spring cleaning, or buckle down for 6 more weeks of winter weather? Only tomorrow will tell. Until then, it’s a great time to do something you can plan for right now, regardless of the weather. In addition to Groundhog Day, taxes are starting to be on everyone’s mind this time of year. Although you can’t do anything to affect your 2016 tax deductions anymore, you can plan ahead for 2017 by making a tax deductible donation to Wheels For Wishes. Maybe you’re holding on to an old car that won’t make it through 6 more weeks of winter, or you’ve been planning to upgrade your vehicle once the warm weather’s here to stay. No matter your reason for getting rid of your old vehicle, you can donate it to Wheels For Wishes and receive free towing and a great tax deduction! If you have a car to donate, get in touch with Wheels For Wishes by calling 1-877-431-9474 or using our online car donation form. Both methods only take a minute of your time. Best of all, the proceeds from your donation benefit your local chapter of Make-A-Wish!